Mobile exhibition "Finno-Ugric and Samoyed Peoples" continues its journey in Finland with the help of the Society of Friends of the Estonian National Museum and arrived at the the North Karelian Museum on February 22. The exhibition has already been to many towns in Finland, including Kuhmo, Sotkamo, Kajaani, Kotka, Helsinki, Mikkeli and Jyväskylä. The exhibition will remain open in Joensuu until April 28. Estonian National Museum introduces the exhibition about the Finno-Ugrians and Samoyeds, or the Uralic peoples, who at present are connected primarily by the affinities of their languages. The exhibition presents short texts about each of the Uralic peoples and numerous photos from the beginning of the 20th century up to the present day. The greater part of the exhibition pictures derive from the ENM photo repository. 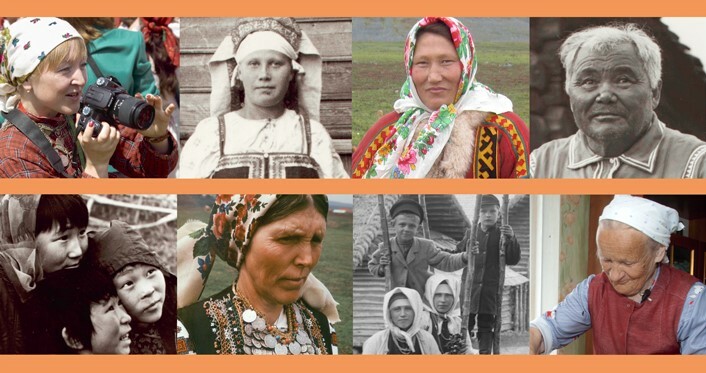 Some of the older photos were gathered from an exchange with Russia, Hungary, Finland, and other countries, while some of the images that reflect the life of contemporary Finno-Ugric peoples derive from private collections of the younger generation of Estonian researchers. The vivid pictures are centered on the idea of showing the Finno-Ugric peoples engaged in day-to-day activities in their environment. The aim of the exhibition is to show that the Finno-Ugric and Samoyed peoples are indigenous peoples with ancient customs that will have a sure place in the context of modern developments. The exhibition includes the map of the Finno-Ugric peoples with the latest information on their demographics.